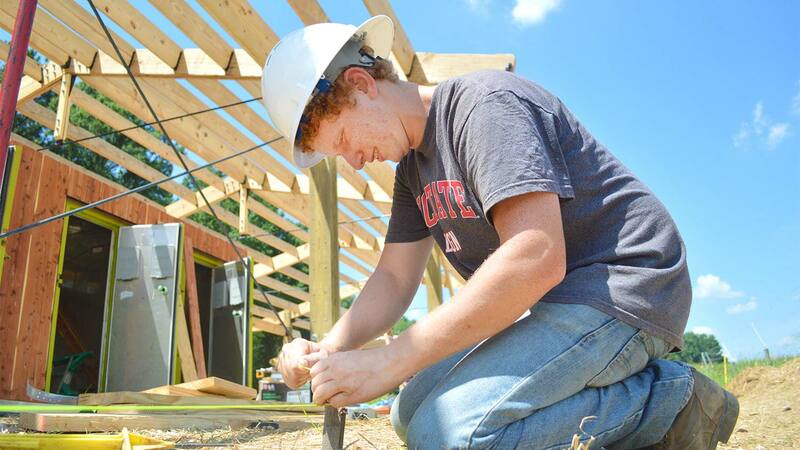 NC State’s campus is a test bed for sustainability innovation. Students, faculty and staff incubate sustainability solutions here, making campus more sustainable in the process. Not all learning happens in a traditional classroom. The concept of campus as a living lab dissolves the walls of the classroom, allowing students to experiment with real-world sustainability solutions that will make the university leaner, smarter and stronger. This has been the practical experience that makes me feel that I’m all set and ready to take a confident plunge into the industry. Here, our students think and do. They create solar-powered sculptures and bring the campus community convenient charging stations fueled by renewable energy. They design campus gardens that manage stormwater while also helping pollinator insects thrive. They launch campus bike-share programs and help connect people in need with resources and food that would otherwise be discarded. They develop unique composting programs, research the viability of chemical-free landscaping techniques and showcase the latest sustainable agriculture practices. All the while, the students gain valuable career experience. Professors also utilize campus as the backdrop for high-impact learning experiences. In a LEED Lab course, students evaluate whether a campus building could earn national sustainability certification. 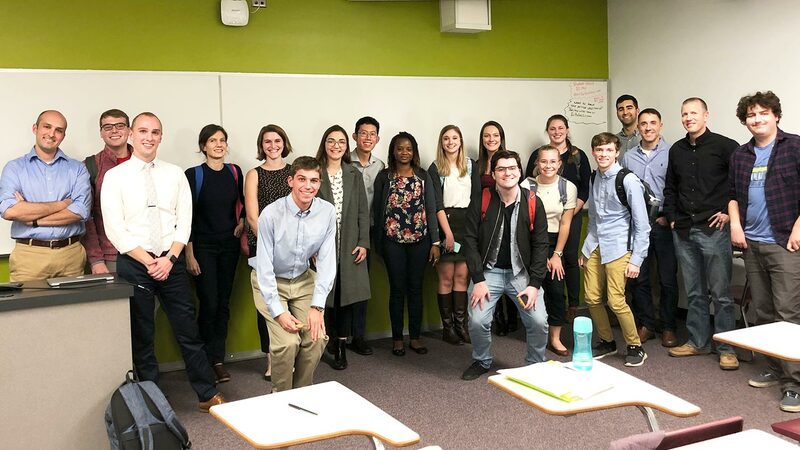 As students learn to measure air quality, energy use and other sustainability benchmarks, they gain experience managing a large, interdisciplinary project. Horticulture classes have offered students the opportunity to design pollinator-friendly campus landscapes, landscape architecture students have gained experience creating sustainable stormwater management, and psychology students have designed composting systems. Sustainability has transformed me and my future goals. Wherever I end up, I’ll carry sustainability with me. Ultimately, these high-impact learning experiences make campus more sustainable. Students have led an effort to remove plastic bags from campus dining and convenience store locations, in addition to hosting energy and water conservation competitions that reduce the university’s utility costs. Every year more sustainability ideas emerge from students, who often report personal and career development growth because of these experiences. In an NC State greenhouse amid hours of sustainable agriculture research, Sarah Yim unearthed a new career direction: becoming a professor like the ones who piqued her interest in sustainable agriculture. 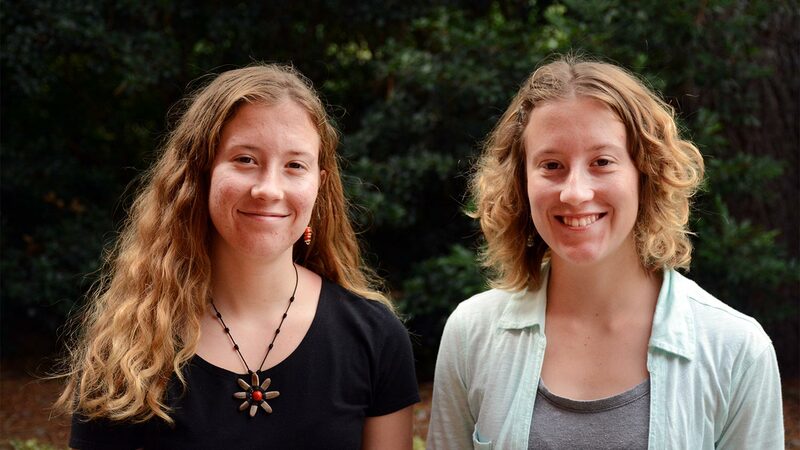 Other students have explored how to integrate sustainability in their existing career path. This online tool connects students with sustainability projects on campus. Members of the campus community can apply for grant funding for sustainability projects. It's possible to integrate sustainability in nearly every field of study.